Oprah Winfrey was born on January 29, 1954 to an unmarried teenage mother in Kosciusko, Mississippi. She spent her first six years with her maternal grandmother living in rural surroundings. She was often forced to wear dresses made of potato sacks because of the poverty they faced. She had a miserable childhood often being subjected to sexual abuse by her uncle and other family members. But because of the education she received in Nashville, Tennessee she was able to put her talents to good use and excel as an honors student. She was voted the Most Popular girl in School and was recognised for her ability to speak in speech contests. She had a flair for talking fluently and this helped her gain many friends in school and throughout her college years. She studied Communication at the Tennessee State University by securing a full scholarship. Her first job was working at the local grocery store. Oprah won the Miss Black Tennessee beauty pageant at the age of 17. This helped her get a job as a news reader at the local radio station WVOL. Her grandmother Hattie May was a motivating factor in Oprah’s life. 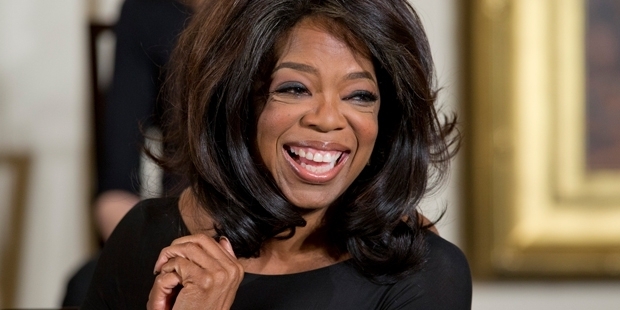 She encouraged Oprah to speak in public and take part in stage activities. She soon began anchoring different shows on TV including news and talk shows like ‘People Are Talking’. In 1983, Winfrey hosted a half-hour morning talk show called AM Chicago. Within months of Oprah becoming the host, the show went from last place in the ratings to becoming the highest rated show in Chicago. Soon Oprah’s popularity grew and everyone was predicting the heights that Oprah would reach in the near future. Soon the show AM Chicago was made into a full hour show and renamed as ‘The Oprah Winfrey Show’. This show began broadcasting nationally on September 8, 1986. Oprah soon started introducing topics such as meditation, spirituality, cancer, substance abuse which helped build a larger audience day by day. 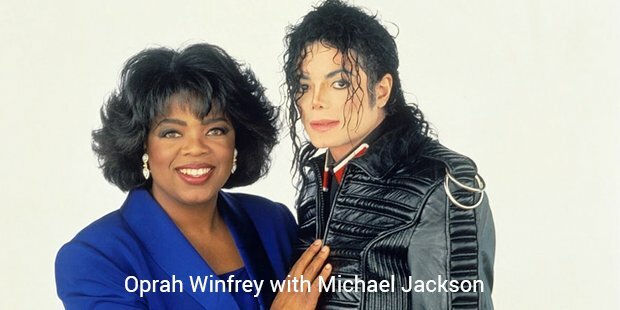 She interviewed Michael Jackson in 1993 which had an audience of approximately 36 million. During the 1991-1992 seasons, the daily viewership of her show was around 13 million. It remained the highest rated talk show in the country till 2008. And it was being aired in close to 140 countries in the World. She thus became one of the most recognisable and loved personalities on television. She was voted America’s most favourite television personality in 1998, 2000, 2002-2006 and 2009. 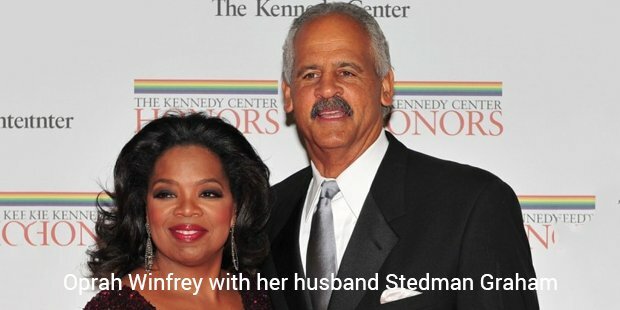 Oprah has also acted in a few movies. Her best performance was in the 1985 movie, ‘The Color Purple’. She won an Academy Award for Best Actress in a Supporting Role for her performance. Oprah became a millionaire at the age of 32. In the year 2000, her total earnings were $800 million. She is the richest African American of the 20th century. In the year 2006, she was the highest paid TV entertainer in the United States with total earnings of $260 million. She became the first black billionaire in history and as of September 2010 is worth $2.7 billion. From being born in rural America to being raised up in a dangerous environment, Oprah has journeyed to become one of the most powerful women on the planet. She is a source of inspiration to countless women in the world who are fighting for equal rights and freedom. Forbes named her as the World’s most powerful celebrity in the years 2005, 2007, 2008, 2010, 2013. She has been one of the most celebrated people on the earth because of her continuous stand for the society and its development.